Take an exclusive tour of the museum. With more than 32 million specimens and artifacts, the American Museum of Natural History is one of the largest museums in the world. With a whole array of information devoted to human cultures, the natural world, and the universe, the American Museum of Natural History has few rivals in terms of museums around the world. You might want to mull over the meaning of our existence in the Space Theatre, come to close quarters with the enormous resident T-Rex, or immerse yourself in the depths of the ocean in the Hall of Ocean Life. Enjoy your very own VIP, crowd-free tour of the American Museum of Natural History, with a before-hours guide to the museum led by one of the museum's experts. 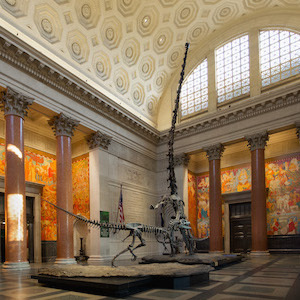 There's no better way to see the American Museum of Natural History's 1.6m square feet than with an exclusive before-hours tour of the museum, led by an expert guide, with TRULY.